One of the most often asked questions about Gmail is how to whitelist the safelist mail , in Gmail. It’s not difficult to do with Gmail! 4. 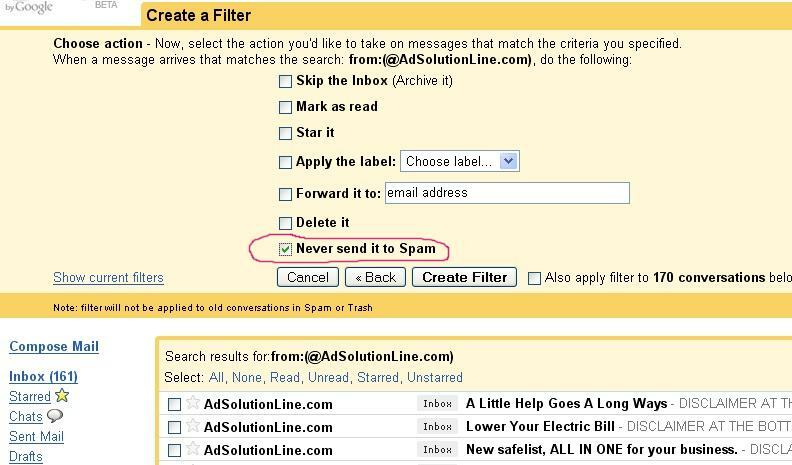 At this point make sure "Never send it to Spam" is checked and click "Create Filter". 1. Click on and open an email from AdSolutionLine.com .